Join us here at On the Rocks on Fridays from 6 p.m. to 8 p.m. and meet our resident artist, Hawaii Island resident, Randy Dahl. Now, in addition to our refreshing cocktails, ono (delicious!) eats and spectacular sunsets, Randy will be creating fine art images of our talented hula wahine (women) from start to finish as you kick back and watch! Randy spent his childhood working shoulder to shoulder with his father in the Junction City, Oregon- based, family-owned business “Artistry in Motion”. 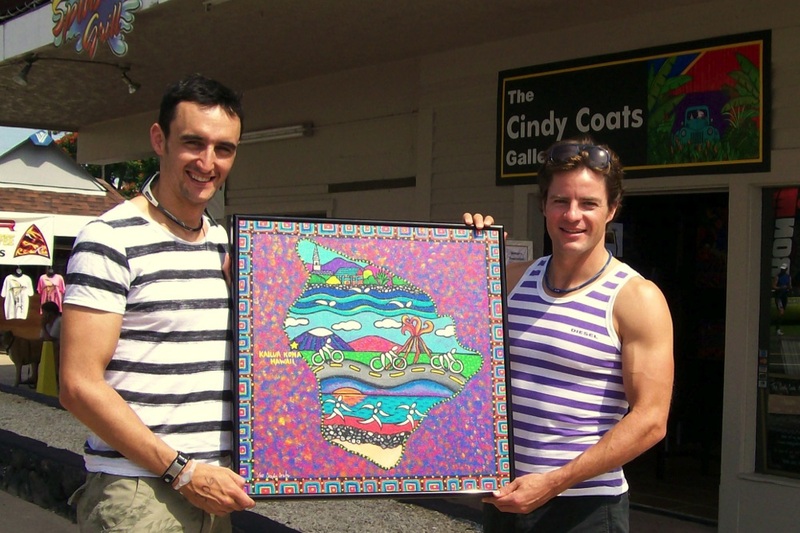 He made the leap across the Pacific to Hawaii Island in 2002 where he’s found new inspiration for his amazing artwork. We invite you to come by and share your aloha with Randy soon! In the meantime, check him out on line by clicking here.